Enjoy a full water view from either the ground or second floor. This room is sure to impress and relax you on your stay. 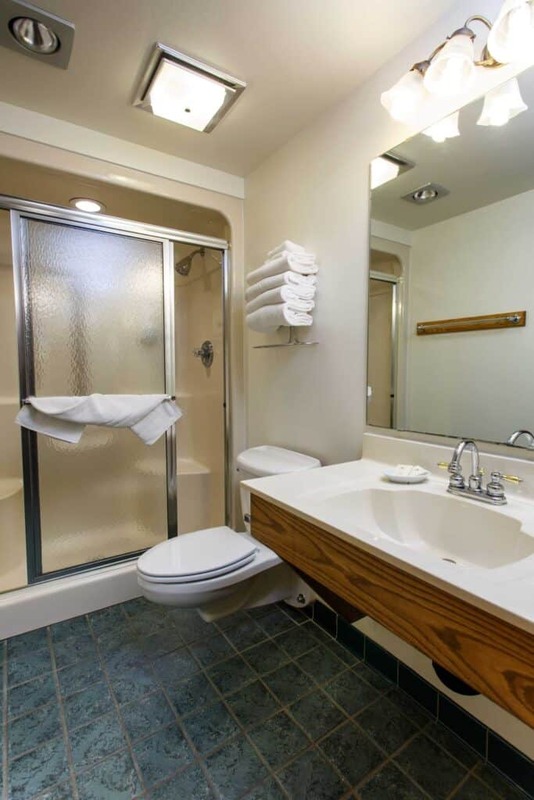 Includes a double whirlpool spa and plenty of room to unwind after a day enjoying the outdoors.